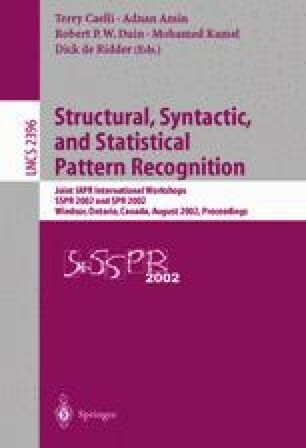 In statistical pattern recognition, the parameters of distributions are usually estimated from training sample vectors. However, estimated parameters contain estimation errors, and the errors cause bad influence on recognition performance when the sample size is not sufficient. Some methods can obtain better estimates of the eigenvalues of the true covariance matrix and can avoid bad influences caused by estimation errors of eigenvalues. However, estimation errors of eigenvectors of covariance matrix have not been considered enough. In this paper, we consider estimation errors of eigenvectors and show the errors can be regarded as estimation errors of eigenvalues. Then, we present a method to estimate the true Mahalanobis distance from eigenvectors of the sample covariance matrix. Recognition experiments show that by applying the proposed method, the true Mahalanobis distance can be estimated even if the sample size is small, and better recognition accuracy is achieved. The proposed method is useful for the practical applications of pattern recognition since the proposed method is effective without any hyper-parameters.